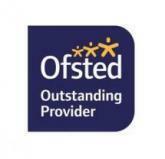 We pride ourselves on our friendly, caring team and every member of staff holds recognised qualifications. Our staff regularly undertake further training and update courses. My name is Rebecca and I'm the Pre-School leader. I have worked at Turvey Pre-School since September 1994 and became leader in 2006. I have the Level 3 CACHE Diploma in Pre-School Practice. I have three grown-up daughters, two of whom are twins. I enjoy doing a wide range of activities with the children at pre-school, especially cooking, gardening and messy play, and love seeing them progress. You may not always see me downstairs as I have to work in the office more these days. Hi, my name is Maria and I'm the deputy leader. I have worked at Turvey Pre-School since January 2002. My children are grown-up now. As they're older it's great to spend time with young ones! My favourite activities are reading and singing, I especially like "We're all going on a Bear Hunt" and "The Tiger Who Came To Tea". I have a Level 3 Diploma in Pre-school Practice done through the PSLA before coming to Turvey. Hi, I'm Michelle, I have worked here since April 2005. I have 3 children of my own, now grown-up If I could describe myself in one word it would be enthusiastic! I really enjoy making things, role play and dressing-up with the children. I have an NVQ Level 3 Qualification. I am Rachel, and have worked at Turvey Pre-School since April 2005. I have 2 children of my own who have both been through Turvey Pre-school. Crafts are my favourite thing at Pre-School. I am the Special Educational Needs (SEN) Co-ordinator and have an NNEB qualification which is equivalent to Level 3. Hi, my name is Fiona, I have worked here since November 2007. My own children are at university and upper school. My favourite things at Pre-School are messy play, puzzles and problem solving. I have an NVQ Level 3 Qualification.